This Thanksgiving instead of attempting to cook a turkey in super hot Honduras along with all the fixings for just the two of us we decided to go to an even hotter location and not cook. We went to the beach!!!!!!!!!! We chose Utila as our destination the middle sized Bay Island. 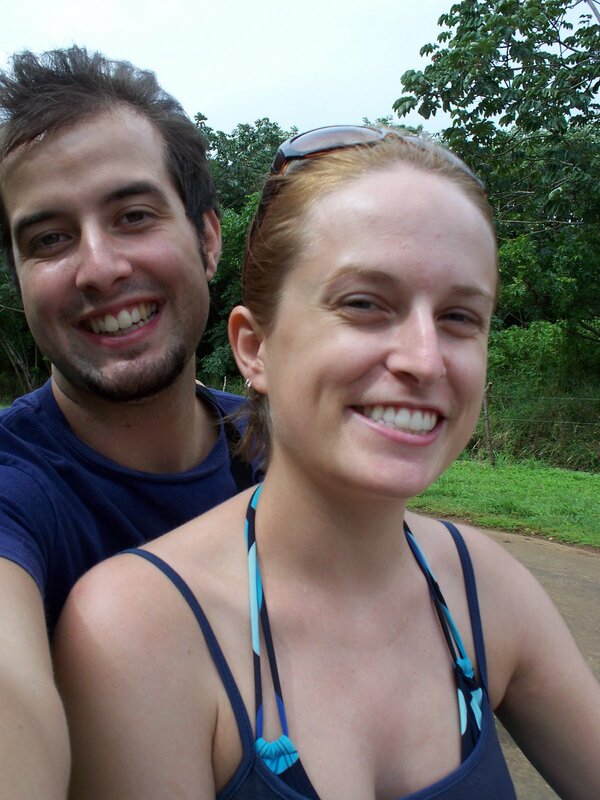 We bolted out of work on Thursday and caught a plane to La Ceiba were we then boarded a ferry to Utila. We went with a group of six of us Jesse, Jenna, Ryan and Kim. Jesse found us an awesome cheap hotel to stay at that comfortably fit all of us. 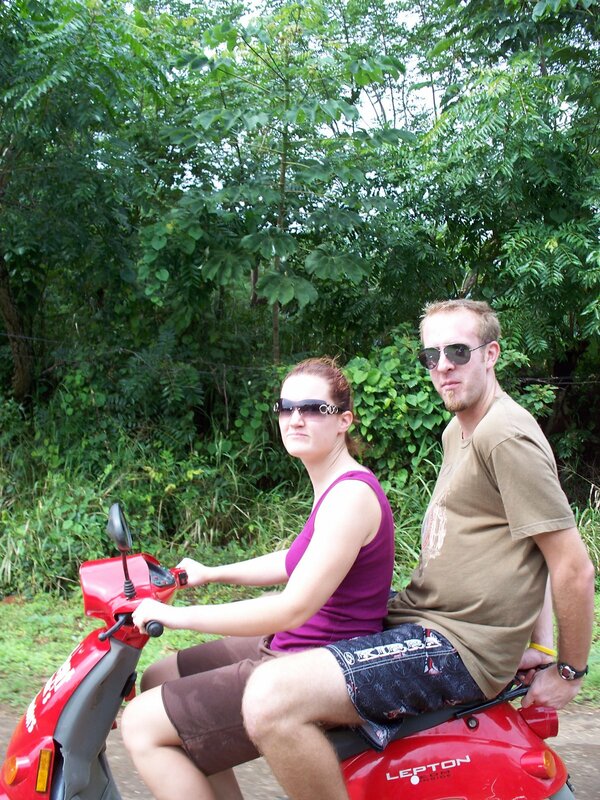 The first day we decided to explore the island via moped. 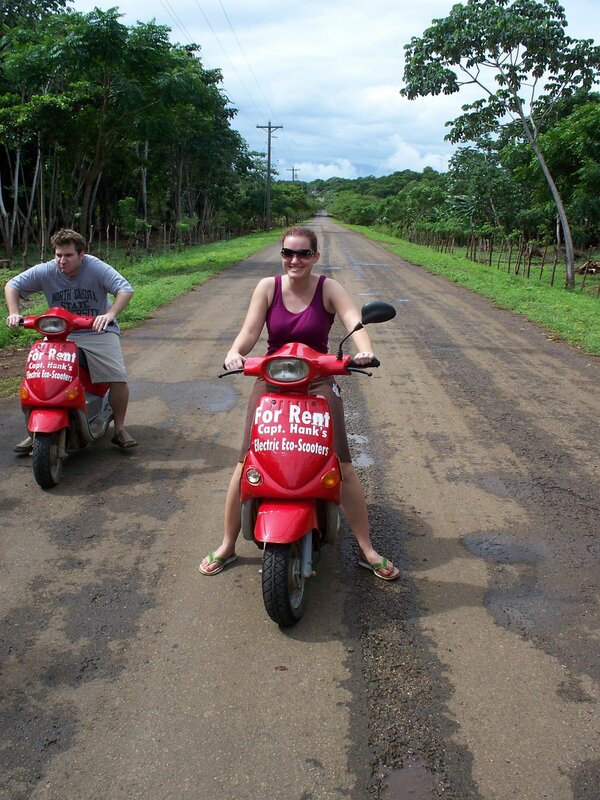 We rented three electric mopeds and doubled up on them. This was the first time Caitlin had ever driven one the same is true for Jenna, however Caitlin did far better. 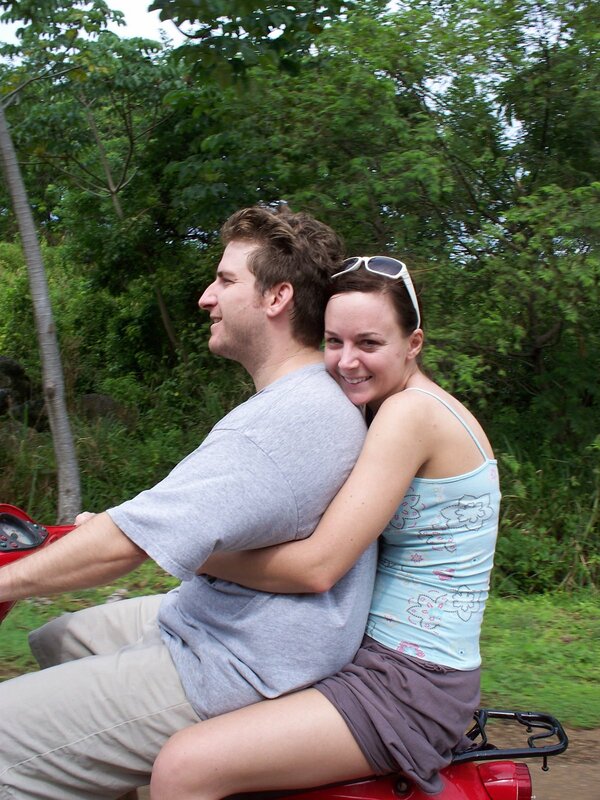 The first time Jenna tried driving one of the mopeds she crashed it into two parked motorcycles and cracked the front of the moped. She was fine a little shaken up and surprised and $75 poorer but fine. Caitlin did fine however and did not wreck. As you can see I was safely taking pictures as we were driving. Don’t worry mom I’m writing this with my fingers so everything is ok. More to come on Utila as we post more pictures. I used to LOVE my scooter in Madison. They are pretty fun! It looks like you all are having a good time. I miss you!